Initially you will be asked a few questions about your current heath and also what it is you would like to achieve from the Rolfing process. Your goals and expectations will also be discussed. 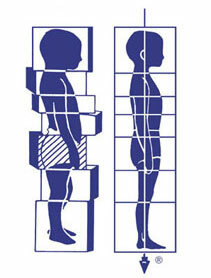 At the beginning of each session there is a postural assessment, this is done during walking and standing. This helps us to decide where we are going to work. You will be asked to lie on a massage table and during the work with the tissue, you may also be asked to bring your awareness to specific parts of your body while focusing on the breath or to make small or larger movements while the tissue is being worked. This allows for client participation in the work and provides more awareness during the process. You may also be asked to sit, stand or walk to allow more work to continue in a different position. Rolfing is not a massage it is deep connective tissue work and can range from gentle and pleasurable to deep and intense and some of the intense work may feel momentarily uncomfortable but as the tissue releases you will probably feel a melting sensation. However as the client and Rolfer work together through the process, your boundaries and thresholds will be respected. It is requested that you are in your underwear during the session and while lying on the massage table you may like to be lightly covered with a blanket. Subsequent sessions are up to 90 minutes.